De Courcy Lewthwaite Dewar (1878–1959), metalwork designer, was born on 12 February 1878 in Kandy, Ceylon, the daughter of a tea planter, John Lewthwaite Dewar, and his wife, Amelia Cochran. Her unusual first name had been passed down through several generations in her family, by whom she was known as Kooroovi, the Tamil word for a small bird. She was one of three surviving daughters of the family. From 1891 until 1908 or 1909 she studied part-time at the Glasgow School of Art. Her enamel and metalwork, which included jewellery, clock surrounds, mirror surrounds, plaques, caskets, buttons, and sconces, was frequently illustrated in The Studio. She also painted, engraved, and produced designs for bookplates, calendars, tea-room menus, and cards, as well as costumes for masques. For thirty-eight years Dewar taught design in the metalwork department of the school, during some of that period with Peter Wylie Davidson, in whose Applied Design in the Precious Metals (1929) her Presentation Casket (c.1910; Glasgow Society of Women Artists, on loan to Glasgow Museums and Art Galleries) is illustrated. ‘Dewar's enamel and graphic work is characterized by strong colour and vigorous outline and the Glasgow Style designs from her student and tutorial phase gradually evolved to a more geometric and boldly coloured Czechoslovakian folk-art influenced style’ (Burkhauser, 163). She was president of the Society of Lady Artists' Club, whose history she wrote (privately printed, 1950). 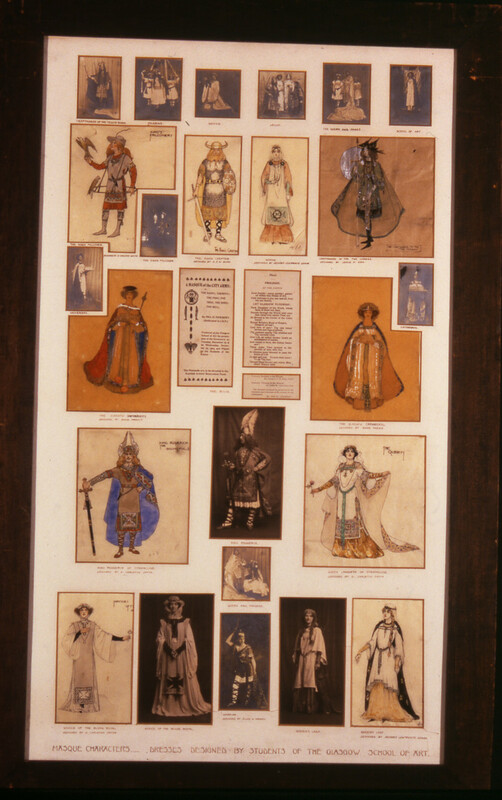 Her sketchbooks of c.1895–1910 (priv. coll. ), letters, and journals provide ‘a rare account of a woman designer of the Glasgow Style era’ (ibid.). Dewar was involved with the women's suffrage movement, for whom she designed bookplates, programmes, and calendars. She compiled files on women artists for the National Council of Women in London providing biographical information and reproductions of works. She did not marry and lived with her sister, Katharine, at 15 Woodside Terrace, Glasgow, until her death there on 24 November 1959.